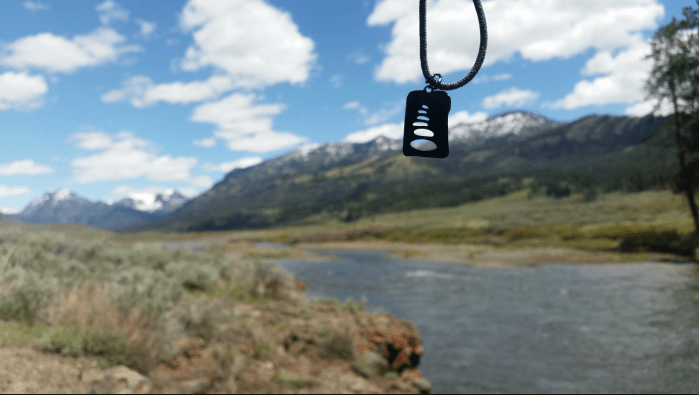 “I actually discovered Tarma after seeing my friend and his girlfriend wearing the Cairn design necklace. I did not know what the symbol was at first until I inquired further. Honestly, I thought they were really cool symbols and wanted to wear one too but didn't buy one until I moved because I did not want to copy him or her! I initially bought a silver cairn necklace because I was looking for a form of durable jewelry that would both look stylish, as well as symbolized my passion for the outdoors. The cairn is the symbol of the trail and a majority of my outdoor activities involve a trail (backpacking, mountain biking, trail running etc.) so I was immediately drawn to it. I wore my new cairn necklace for about a year until I went on a research expedition with one of the professors I was studying under. 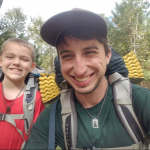 We were doing some backcountry research in the Yellowstone/Grand Teton area and I had the delight of getting to know his (at the time) 9 year old son, who was quite the novice at backpacking. He and I quickly became friends during our travels that summer and when we left each other's midst, I passed my cairn necklace on to him as something to remember me by. I explained that the cairn is the symbol of the trail and is an icon for hikers to find their way. I said if he carried that necklace we would find our way back to each other some day. That boy is 13 now and every time I see him he is still wearing the necklace I gave him. 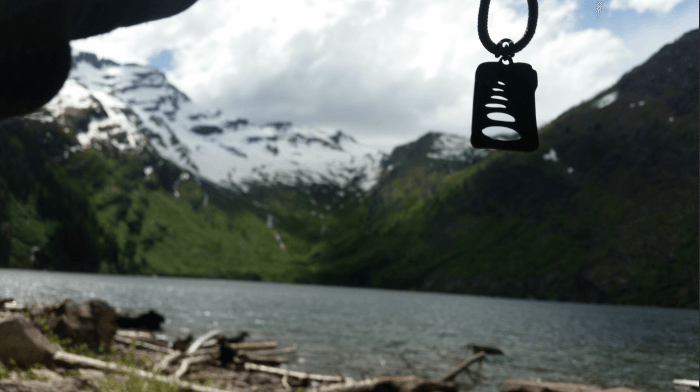 I bought a black Cairn necklace to replace my silver one and wore it for quite some time in my travels the next few years. During this time, I quickly advanced in my spiritual life as well and the necklace honestly became a symbol for my faith. I felt as if God's will for me was my cairn and that if I had enough faith, I would always find my way back to the right path if I was lost. I soon met another young boy who was the son of my now best friend and he and I grew into a very close and deep mentor/brother like relationship. 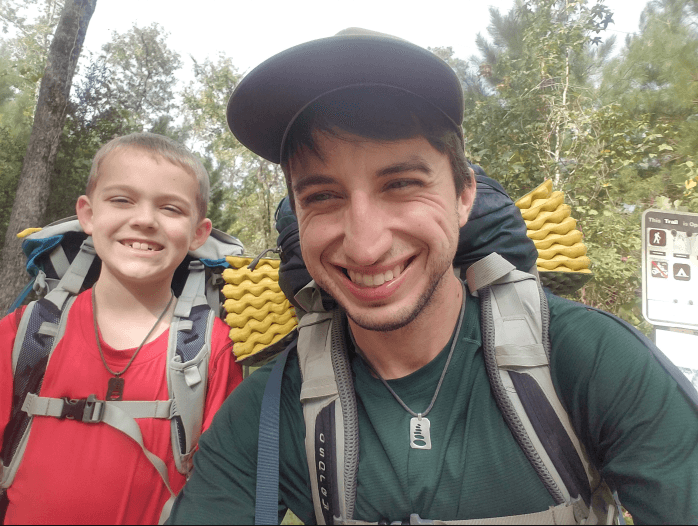 I took him on his first hikes, first camping trip, and recently first backpacking trip. Like my professor's son, I gave him my black necklace and explained its importance to me. I see him almost every other day and he is always wearing that necklace. He says it’s a symbol of him and I's relationship and that to him, it means we will always be friends.